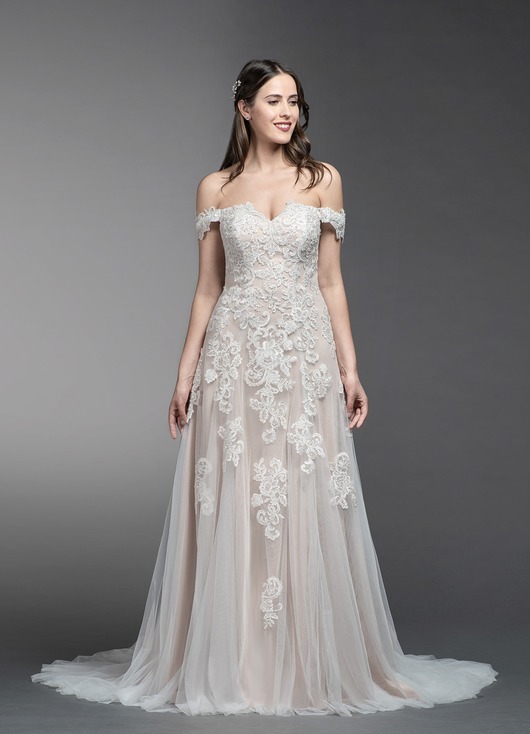 What a beautiful dress!I love the design and silhouette of the gown. The fabric is comfortable. I cant believe the quality of the dress for the cost. I tried on the diamond with champagne. I love the way this dress looks and feels, although I didn't really like how it looked on me being plus size. It was not horrible, but I lose my shape in it until I can lose a little more weight. Definitely think it needs to be tighter or something. But overall, LOVELY dress! This dress is gorgeous. I especially liked how the lace is pieced throughout the dress. 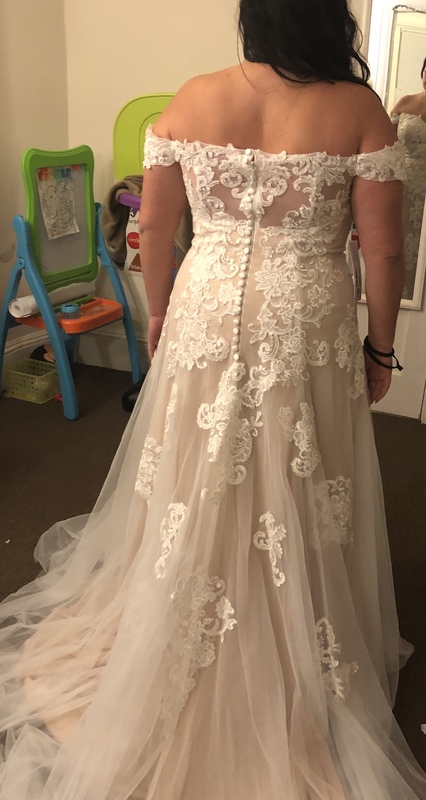 I was worried about the fit as ordering wedding dresses online can be tricky but I did custom sizing and was really happy with how it turned out. I had my wedding at a beach and this dress was perfect for it. The fabric was soft and flowy and I felt amazing the entire day.